Some people just like to do things the hard way. Take for example, me. Although my blogging friend Liz from That Skinny Chick Can Bake and I live in the same state...a mere 2 1/2 to 3 hour drive from each other...we actually met in person for the first time when we were both more than 2,000 miles from home. If that's not the hard way, I don't know what is. Totally worth it. Hopefully next time we'll do it the easy way. 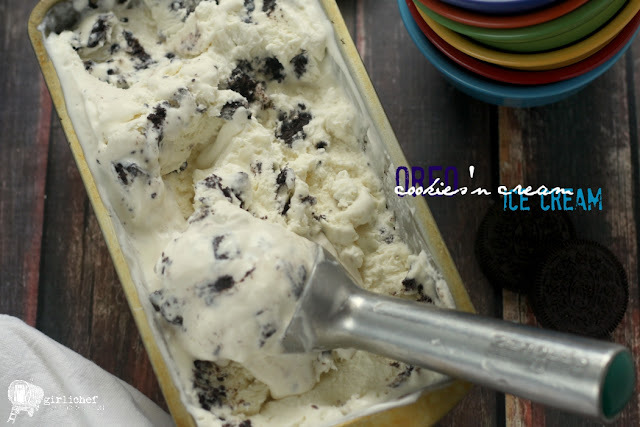 Today I'm excited that Liz's blog is my Blogger C.L.U.E Society assignment; this month, the group scoured their assigned blogs for recipes that would help us Beat the Heat! Since I drop by Liz's blog on a fairly regular basis, I knew the hardest part wouldn't be finding a recipe that I wanted to make, but rather narrowing it down to the one recipe I couldn't live without. Of course I contemplated a cocktail—I can easily see myself kicked back by the pool with one of these Beer Margaritas in my hand. Or, with the abundance of beautiful summer fruit hanging around, this Honey Lime Fruit Salad also crossed my mind. As a matter of fact, both of those things will more than likely end up on my picnic table before the summer is out. But then I rummaged through her ice cream recipes, and my mind was quickly made up for me. I remember coveting this Mocha Ice Cream with Marshmallow Sauce when Liz originally shared it, but when I came across the ice cream that all three of my kids love, it dawned on me that I'd never actually made it myself. 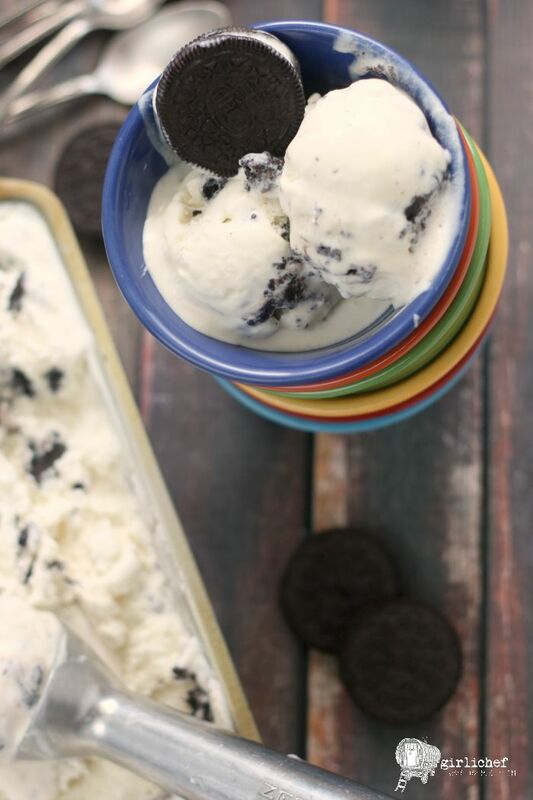 Cookies 'n Cream, or as Liz's was called, OREO Ice Cream. I just combined the two titles to make one delicious batch of frozen goodness that disappeared within 24 hours. I'd say it was a good pick on my part. Thanks for helping us beat the heat, Liz! Smooth, creamy vanilla ice cream studded with chunks of OREO cookies. Whisk together the egg yolks and 1/4 cup of the sugar in a large glass measuring cup with spout or a heatproof bowl; set aside. Combine the remaining 1/4 cup of sugar, cream, milk, and salt in a saucepan and set over medium heat. Once the mixture begins to simmer, slowly drizzle 1/2 cup of it into the egg yolk mixture, whisking constantly. Whisk in another 1/2 cup of hot cream, and then pour the tempered egg mixture back into saucepan while...you guessed it...still whisking constantly. Stir the mixture over medium heat until it thickens enough to coat the back of a spoon (nape), 1-2 minutes. Set a gallon-sized heavy duty baggie in a bowl, opened as wide as possible. Set a strainer over the opening. Prepare an ice bath. Carefully pour the custard through the strainer, then stir in the vanilla. Seal the baggie, removing as much air as possible. Set the baggie in the ice bath and use your hands to squish it around until the mixture has cooled to at least room temperature. Transfer the baggie to the fridge and chill until cold, at least 2 hours, or up to overnight. 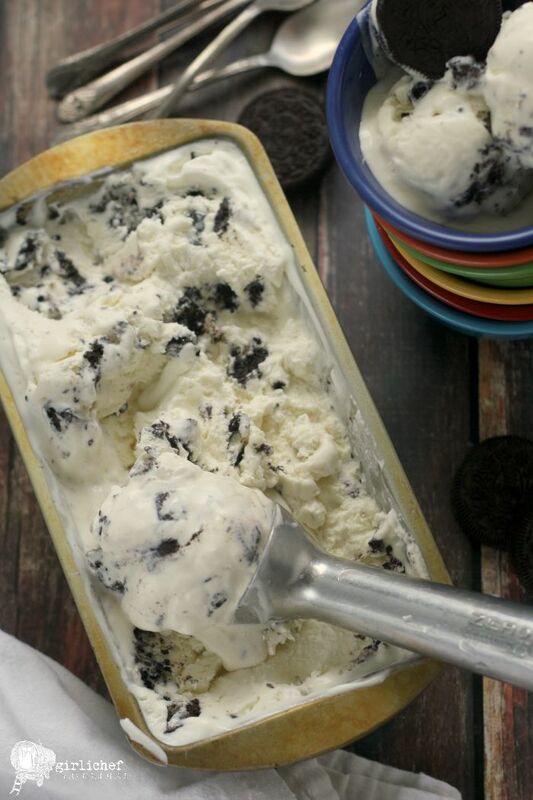 Pour the chilled mixture into your ice cream maker and churn according to manufacturer's instructions. Smooth the top, then cover the container. Freeze until firm, ~4 hours. The blogger C.L.U.E (Cook, Learn, Undertake, Eat) Society meets every month in a game of mystery, intrigue, and fun! We are given a theme and secretly assigned another member's blog; our mission is to hunt through our assigned blog to find a recipe that fits the theme through our eyes. We then head into the kitchen and recreate the recipe and post together on reveal day! I'm a lifelong mystery-lover, my favorite board game is CLUE, and I'm a believer that there's no better way to get to know somebody than through food—is there any doubt that I enjoy this event!? Today is reveal day, and this month's theme is: Beat the Heat. Join me in reading about the food hunted down this month in the #bloggerCLUE member's kitchens!